Every summer, toned bodies leap across Innsbruck’s stages, showing off their elegant moves as part of the “Tanzsommer” summer dance festival. The event attracts international dance companies to the capital of the Alps every year. Visitors enjoy top-quality dance performances from classical ballet to an Aboriginal dance group from Australia and everything in between. Since its inception in 1995, the Innsbruck Dance Summer Festival has been a place where remarkable contemporary dance events occur and win over the audience. Some of the world’s most famous dance companies have participated. A magnificent cast of stellar artists from ballet, modern and contemporary dance share the stage in the very last edition of this highly acclaimed festival, wrapping up the 23-year old festival with a bang. One of the highlights is the performance of New York-based dance company “Stomp”, celebrating its 25th anniversary this year. 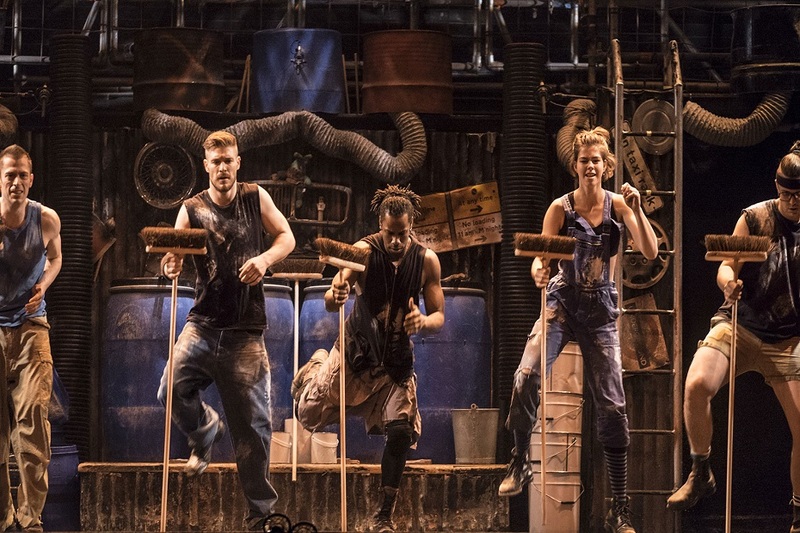 Matchboxes, brooms, garbage cans, Zippo lighters and more fill the stage with energizing beats at “Stomp”, the inventive and invigorating stage show that’s dance, music and theatrical performance blended together in one electrifying rhythm. With styles ranging from Krumping over Hip Hop to classical, the new urban dance show “Beethoven! The Next Level” tells the story of composer Ludwig van Beethoven. As well performing is the Austrian urban dance company “Hungry Sharks”, which explores human relations and changes in society.Again in its last year, remarkable workshops, and the “Stars of Tomorrow” program for children and youths combine to create that special mix the Innsbruck Dance Summer is so famous for. Not only can visitors watch the different styles of dance, but they can actually learn the dancing steps themselves in the supportive, non-competitive learning environment of the galas, Jazz Dance workshops and intercultural projects held at St. Johann in Tirol, Landeck and Kufstein.